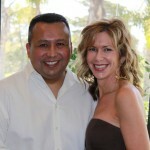 I have been a Notary Publice for 16 years and service the Ventura and Santa Barbara Counties. I have completed well over 500 signings and specialize in Refinances, Reverse Mortgages, Purchases, Trusts, ect. I am available 24/7. I have been a Notary Public for 16 years and I absolutely love it. I have been a loan signing agent for 9 years and enjoy traveling and meeting new people. I have completed well over 500 signings and have an excellent completion history. I am available 24/7. I serve the Ventura and Santa Barbara Counties. I am very efficient and have a long history with the companies I have worked for in my years of being a Notary. My number one goal is to make the client comfortable during the signing process. I look forward to working with new companies.